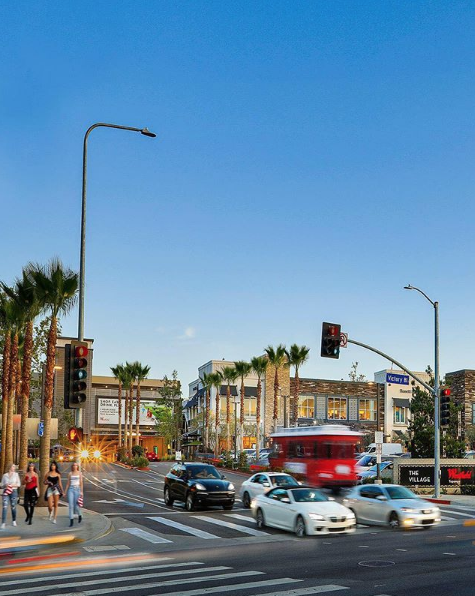 With so many restaurants to try in Los Angeles, the thought of trying them all can sound overwhelming! That’s where the incredible concept of a Food Tour comes in. 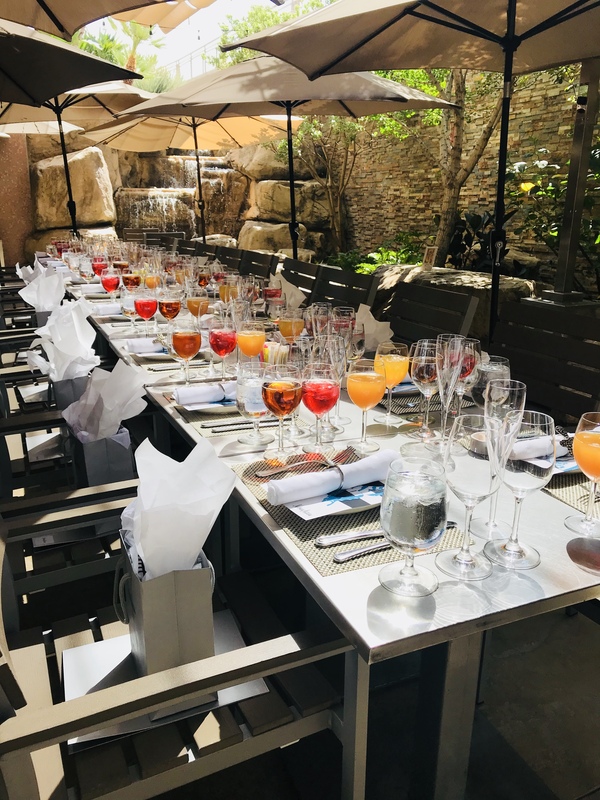 You have the opportunity to discover hidden gems and the most popular restaurants alike, and get an exclusive behind-the-scenes look at how these restaurants became so successful! 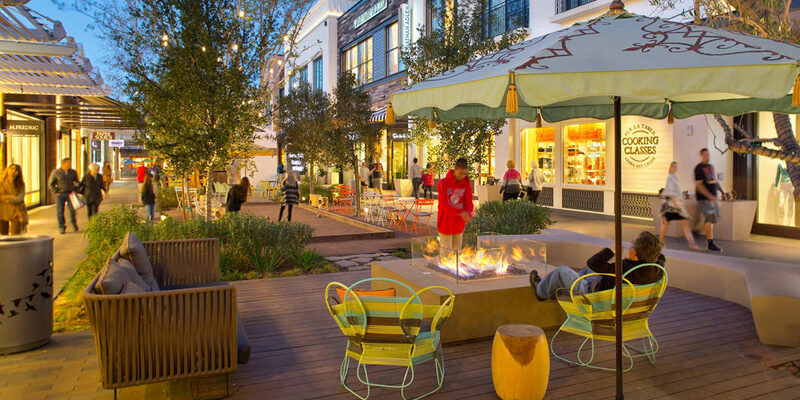 For this food tour, we partnered with Westfield Topanga & The Village to try over a dozen dishes from five different restaurants at the two adjacent locations! 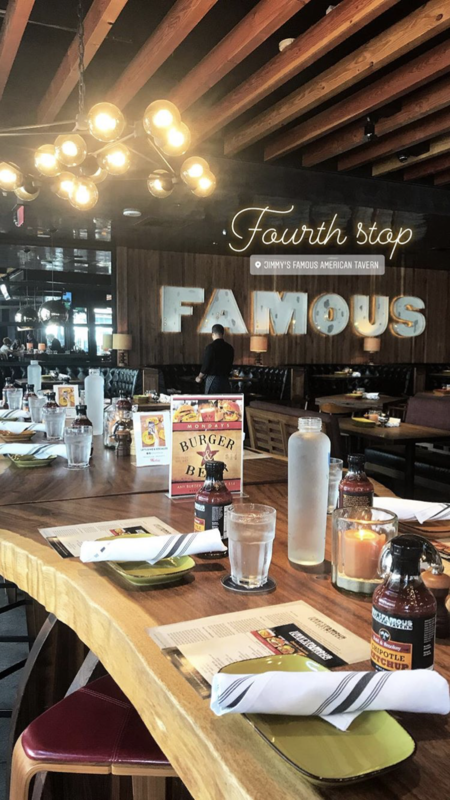 Each restaurant put together a specially curated menu featuring their most notable dishes, along with new menu items, for an iconic combination of classic and innovative foods. Each menu offered a unique taste of menu items, paired with drinks and signature cocktails from each restaurant. Our ‘tour’ began at the Neiman Marcus Cafe and concluded with dessert at Sloane’s ice cream. We were led from restaurant to restaurant by a tour guide from Six Taste, the experts in tasting tours and food in Los Angeles, and had the opportunity to learn each establishment’s unique story, to hear from the head chefs about their vision for the menu concept, and even got a behind-the-scenes look of the kitchen and an actual industrial size BBQ smoker at an old-school, classic BBQ restaurant! Simple, fresh, classic Mexican food! We tried a number of their most noteworthy dishes and loved the mix of flavors! From the carnitas tacos to the cheese crisp with house-made guac, everything tasted so good, and paired perfectly with their tamarind margaritas! Our favorite? 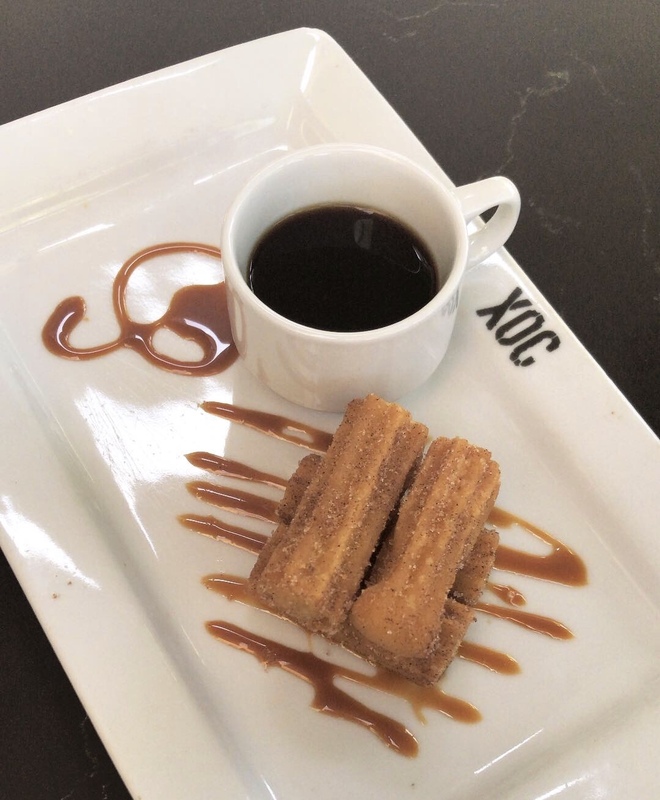 The churros drizzled with dulce de leche, and paired with authentic sweet Mexican coffee! We feel like we stepped out of LA and right into the south at Lucille’s! They serve authentic, southern-style BBQ that tastes better than your mama’s cooking! Using an industrial-size and strength slow cooker, their meats are prepared for up to 24 hours in advance, to really let the flavors sink and allow the meat to cook to tender, juicy perfection. They’re famous for their watermelon lemonade (a must try!) and they even bring you hot towels when you finish eating, because this true BBQ experience will definitely leave your fingers (and face!) a bit messy- but it’s worth it! Our favorite? The buttermilk biscuits with homemade apple-butter and the brisket! This all-American eatery serves classic favorites while incorporating new and eclectic flavors both in their foods and cocktails. From traditional buttermilk fried chicken to ahi-poke, we loved everything we tried! Our favorite? The Jimmy slider paired with JFAT Blonde Ale! It’s classic American comfort food done right! The picture-perfect-pink ice cream shop had us feeling like we walked into a real-life version of candy land! An ice cream, candy shop, bakery fusion, this pretty-in-pink ice cream shop is a dessert lovers dream. For dessert we treated ourselves to (and finished!) an ice cream flight- think beer flight but instead of a beer tasting, you get 3 scoops of your favorite ice cream flavors on top of a freshly baked brownie. Our top picks? Cookie Monster, Carrot Cake and Chocolate Oreo Cheesecake! 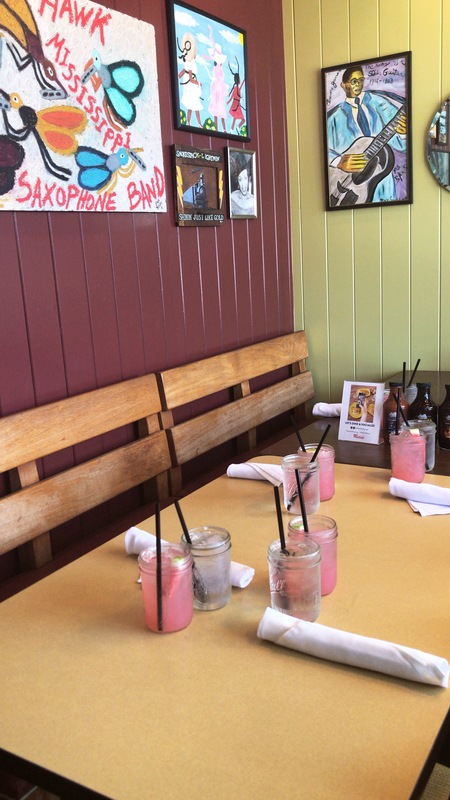 We had so much fun exploring the San Fernando Valley and trying these hidden gems and we will definitely be back! Tickets for the food tour are now on sale to the public and all proceeds benefit The West Valley Food Pantry! Be sure to note The LA Socialites at checkout when asked how you heard about the tour. Purchase your tickets here for tastings taking place on 9/13 and 9/20!